For more details on the support levels or pricing please contact us or call ((415) 758-1113) or write info@cloudurable.com. If you are not familiar with the benefits of our subscription support please read this first. For organization that want AWS Cassandra deployments to implement their own Amazon Cassandra as a Service for their group. Streamline your DevOps and DBA tasks when it comes to running Cassandra on AWS. ** Percentage of AWS Cost to run Cassandra instances. As part of the support we work with your team to setup distributed logging and metrics with AWS CloudWatch. Streamline your DevOps team when it comes to running Kafka in AWS. ** Percentage of AWS Cost to run Kafka instances. The support pricing structure is similar to how Amazon charges for support. All Cloudurable™ support plans include free support for billing support cases. Monthly charges for the Developer, Business, and Enterprise Support plans are based on each month’s AWS usage charges, billed at the end of each AWS billing cycle. As your Cassandra and Kafka usage in AWS charges grow, there are volume discounts on your Cassandra, Kafka and AWS support costs. The enterprise level comes with quarterly tune-ups. We look at your production workload and EC2 usage. We study key performance KPIs. You get a report with recommendations that could save EC2 / AWS costs, and we flag any potential issues with SLA, security compliance, or disaster recovery plans with remediation recommendations. We can more frequent tune-ups for time and materials. Level 1 A Level 1 issue is a major production error within the Supported Software. Level 2 A Level 2 issue is an error within the Supported Software where the customer’s system is functioning. The software has reduced capacity, degraded performance, but the system is not down or there is a work-around. Level 3 A Level 3 issue is a medium-to-low impact error that involves partial loss of functionality for production purposes or development purposes. For more details on the support levels or pricing please contact us. 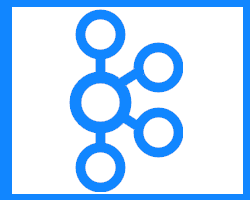 Subscription Cassandra Database support benefits (Support subscription pricing for the Cassandra Database and Kafka).